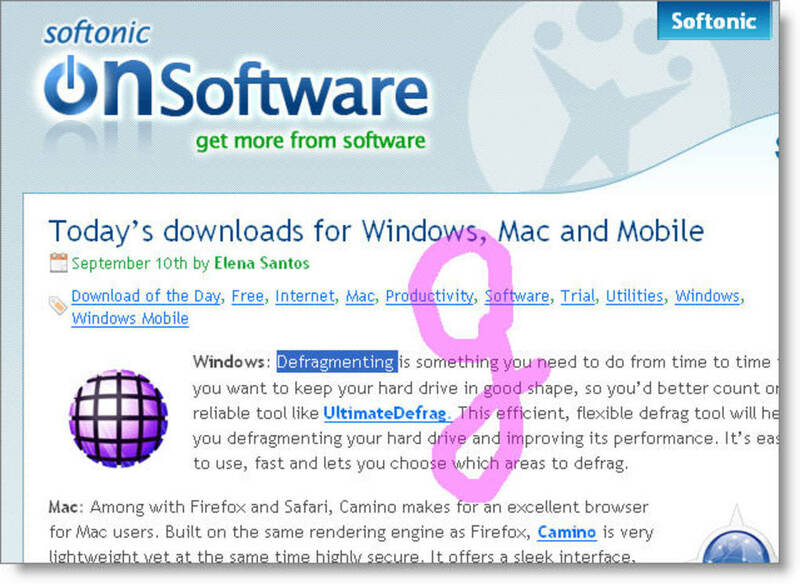 You may have already seen one of those Firefox add-ons that let you manage the browser with mouse gestures. Mazzick is based on the same principle, only it enables you to manage your whole system. 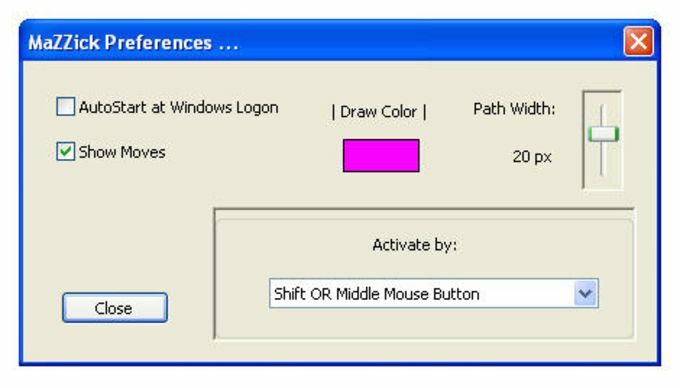 Once installed, Mazzick equips your mouse with the ability to perform different tasks according to the movements you make with it. 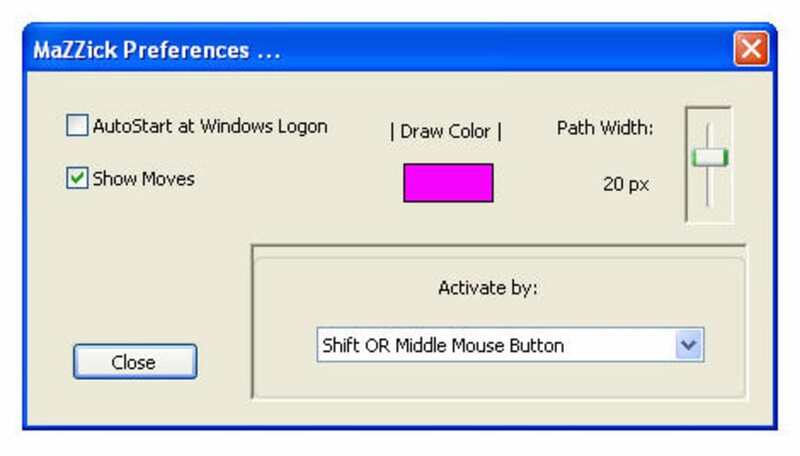 Tasks are activated with special mouse button or key combinations, so that you don't accidentally trigger one of them simply by dragging the mouse around the screen. The actions included in Mazzick range from basic operations like minimizing all windows or opening a given folder, to more complex functions such as sending an email to someone or searching the selected text on Google. The best thing about Mazzick though is that you can create as many new gestures as you want and associate them with new tasks – always choosing from a closed task list, that is. Mazzick worked fine during our tests and really proved to be a very handy add-on to improve the way you manage your system. The only drawback, in my opinion, is the fact that you need to draw gestures too accurately: a one-inch misplaced stroke and the gesture won't be recognized. 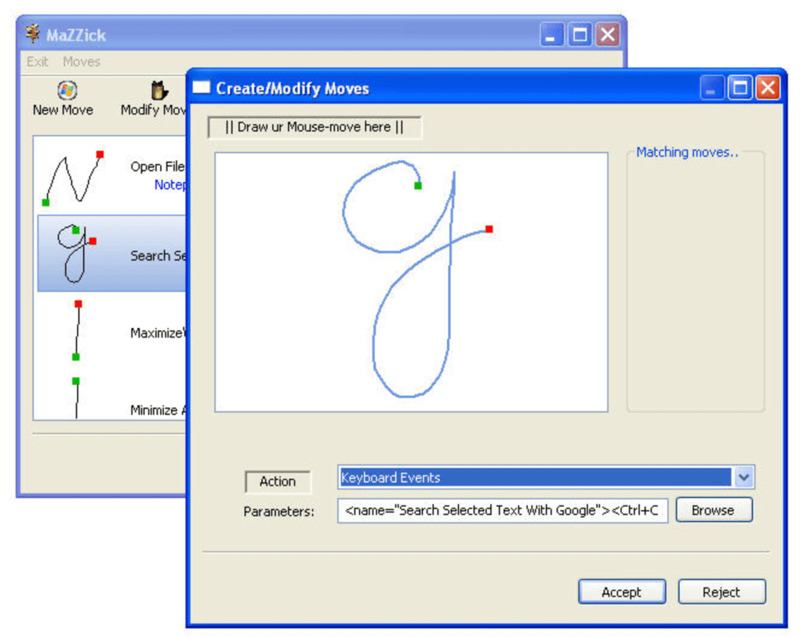 With Mazzick you'll be able to control the basic tasks in Windows with mouse gestures, provided you draw them accurately. What do you think about Mazzick? Do you recommend it? Why?